Looking for the ideal present for a winter baby? Check out these bright and colourful blankets, perfect for making sure your little one is snug as a bug in a rug this winter. These ultra cuddly blankets by Austrian design company David Fussenegger have stunning designs made in high quality cotton and cotton-blended yarns that are completely machine washable. 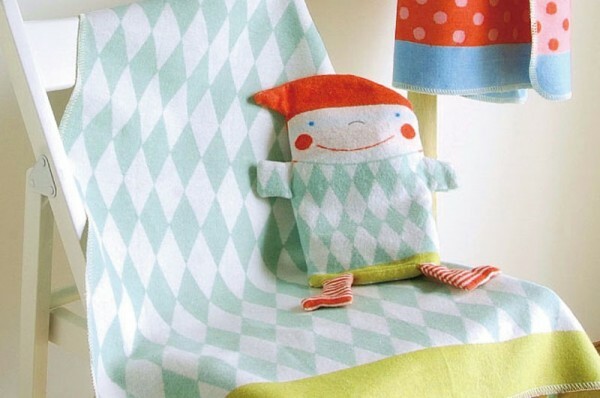 This cute Green Harlequin puppet and blanket set is perfect for keeping the chills away and bubs entertained. When he’s finished playing with the puppet you can use it to store the folded blanket inside and voila! You have a neat little jester cushion! This gorgeous combo is sure to bring a smile to little faces. 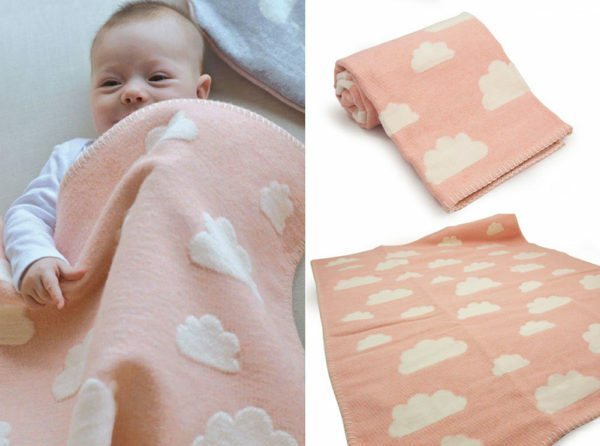 Your little bundle will be cozy as can be with this Little Clouds themed set that has a pretty blanket stitched hem to make it extra durable. This one’s sized for a bassinet, so it’s perfect for tucking over knees in the pram or car as well. 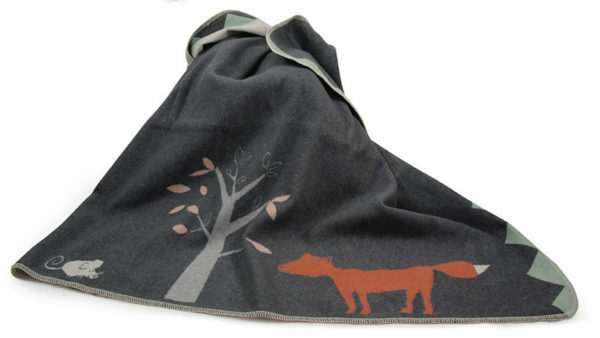 This friendly Foxy Forest blanket comes in grey and off white and is ideal for your little fella to wrap up in on chilly days, or play magic carpets with on the floor. With kids in mind, the folk at David Fussenegger make sure their blankets are soft, but also incredibly hard-wearing. Available at Urban Baby from $54.95.